We explain when someone is cruel or acts like a bully, you do not stoop to their level. Our motto is when they go low, you go high. To experience bullying is hurtful. Perhaps it's classmates being mean. Maybe it's kids in your neighbourhood or your brothers and sisters. Let’s see how you can learn to shield yourself. If you take away only one thing from this page, let it be this: You do not deserve to be bullied. No one does. And if you are experiencing it, please do not let those cruel remarks make you think it's your fault. When I was your age, I was called horrible names, and I started to believe I really was an ugly, stupid girl. Now, when I look back, I realize I was a normal kid. I was deaf in one ear, so I had a disability. Kids in the neighbourhood laughed and called me "deaf lugs" if I missed something that was said. And I had no dad, so I was called names for that, too. The fact is that when kids want to bully you, they'll look for anything they can to make fun of or to yell about. It could be the colour of your hair, or that they don't like your shoes, or any number of things. But you have the right to be you! There is only one you. Love yourself. You have the same rights as everyone else in this world. The link below tells you about a girl who was horribly bullied because of an illness she had. In her case, two sisters in another town heard about her and organized emotional support for her. But look at this girl, Olivia, in the photo; she's just a normal person and did not deserve to be treated so meanly. Find a copy of the book Letters to a Bullied Girl about this story (or ask an adult to find it). It will be good for you to read so you know there are kids out there who know bullying is wrong. Let's begin with an explanation of what bullying is, because there are what I call normal arguments, that everyone has once in a while, and bullying, which is frequent and very wrong behaviour. I'll also touch upon the difference between teasing and mocking. Kids and teenagers have disagreements now and then. When this happens, it is normal for both sides to feel irritation. One person may raise their voice, and the other feels comfortable shouting or talking back. This is an equal relationship, and all those involved in the argument may speak angrily for a while and then calm down and come to some agreement. You can all then continue on as normal in a friendly way. In fact, arguments are a common way of clearing the air, and each side learns how to resolve issues. In this situation you are walking through a school hallway, say, or on the street, and teenagers or children approach and begin mocking or threatening to hurt you. You did nothing to provoke it. The bullies enjoy inflicting hurt and you do not feel comfortable defending yourself, because it would make them behave even worse. This is an unequal relationship, especially when there is more than one of them, or if the bully is bigger and experienced in fighting. This can be fun between equals. All kids take turns to tease and be funny in a playful way, but must be careful to make sure everyone understands it’s just play. If hurtful comments creep in, then it’s crossing the line and it’s not harmless anymore. Teasing is kept light and friendly. A person, or a gang, mocks someone in an unequal situation. It is done to make the targeted kid feel stupid and is intended to cause hurt feelings. (a) Intention to hurt. Bullies don't bump into you by accident and then say "sorry." Bullies deliberately push you. And when you try to ignore it and move away, they follow and do the same thing again. If you do ask them to stop, they may apologize in a sarcastic way and not mean it, or else laugh and do it again. (b) More power. The bully often has a gang that sides with him or her (this is called social power), or else is bigger than you or better at hurling insults. A bully is more confident due to advantages like these but is also a coward who prefers to forget that old saying "pick on someone your own size" (whether we're talking height of a person, or the number of friends they have). And really, why pick on anybody? It's sad that some kids are this way, but you'll learn possible reasons and solutions further down. (c) Continued bad behaviour. A bully often targets the same kid, in a place the bully feels safe, such as in a playground when teachers are not looking, or in a quiet alley near your home when grown-ups can't see. Why do some kids bully others? When that boy or girl first started being mean, you may have tried to be polite and walk away. This is good behaviour on your part, but unfortunately it doesn't work with some people. Instead, they realize they can take their frustrations out on you, simply because it's easy to do so. They never try to bully a tough guy, which would be scary for them, so they look for gentle, kind kids who don't like to fight back. But why does the bully do this? They are jealous of you. This may be for better marks in class, or that your parents drive you to school in a big car, or that you have a bike and they don't. You might never learn what it is; it could be some tiny thing you have that they don't, but they feel they are in competition with you in some way. They are unable to see things from other points of view. Bullies can swiftly inflict hurt of some kind on you and then just as quickly walk away, forgetting the incident. They figure you will forget, too. They think they're better than you. But all of us have some weaknesses. If we didn't, we'd all be Superman and Wonder Woman, wouldn't we? When I was young, one of my weaknesses was extreme shyness, and kids took my quietness for stupidity and picked on me for that. And the more they did, the worse my shyness became. If you feel you have a some kind of weakness, do not beat yourself up about that. We are all human with strengths and weaknesses, and we all have a right to just be us, as we are. Even those bullies have flaws, but they just don't see that. Grown-ups do too. They like to be the leader. Bullies crave admiration and enjoy having their friends see how strong and brave they are. Unfortunately, their friends are young and often don't realize that being mean to another classmate is not strong or brave at all. They won't understand this until they're much older and are looking back at these events. In the meantime, you're the one suffering this horrible treatment. There are names for these friends of bullies: "Enablers." "Bystanders." You will read more about them later on. They have learned to be mean. Often, bullies are also treated badly by someone: perhaps at home or by neighbours. So, they think behaving in a cruel way is normal. And they usually are frustrated by negative events surrounding them and want somebody to take out their anger on. Studies have found, too, that bullies pick on individuals they believe they can easily intimidate, especially those who don't have a large crowd of friends to support them. 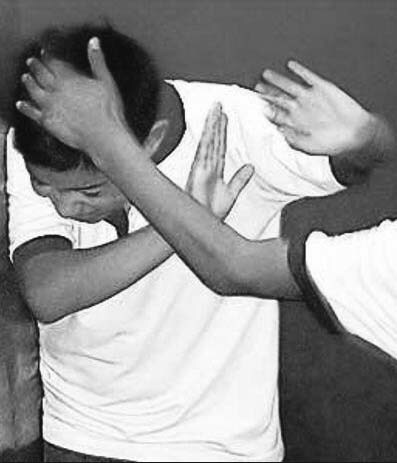 There are common groups of children/teenagers who become targets of bullying. someone with big ears, acne, etc. The good news is that kids who have unique elements often grow up to lead happy and successful lives. Victims have good qualities, such as a good imagination, talent and sensitivity, and this serves them well later on. Have a look at these celebrities. All of them were bullied. They didn't deserve that, but luckily, they survived and eventually grew up learning to respect and shield themselves. It just goes to show, anyone can be bullied. It's not just you. You are not alone. Be strong, read advice on this site and, most importantly, get help from grown-ups. Believe in yourself. Usually there is one main bully, and an audience who laughs at the target or helps the main culprit by jeering. This is part of what the bully enjoys. He or she craves attention and feels important because there is an audience watching this so-called "strong" behaviour. There are names for this audience of kids who join in with the cruel action. They are enablers and bystanders. A bystander is a person who is present at an incident but does not take part. An enabler is a person who makes something possible, a person who encourages negative behaviour in another. So, bystanders are classmate or kids in your neighbourhood who see you being bullied, but don't do anything. They might walk away or pretend not to hear. They are afraid to say anything to make it stop, because they don't want to end up being bullied themselves, or they don’t know what to do or else they simply feel it's not their problem. Enablers want to be popular with the bully, because it makes them feel they're part in the "cool crowd," so they join in by standing nearby to insult or laugh at you. Worse, they may become physically abusive if the bully does. Sometimes these enablers realize they're behaving in a way they normally wouldn't, but are scared of the bully turning on them, so they continue picking on you in order to be accepted in the clique. The two names, bystander and enablers, can get confused by observers, because they mean similar things. The good news though, is that bystanders also have the power to make it stop. Usually, those who notice a bullying episode and turn away, feel bad about not helping the victim. Often, they simply don't know what to do. But more and more kids are beginning to act, by organizing anti-bullying meetings in their schools. Shield yourself by asking the grown-ups in your life to invite parents of school children to become part of the solution. Teachers, town councillors, ministers and social workers could be called in to help organize an active anti-bullying campaign, to help you and also the help the bully. Because not only are you upset about the hurt inflicted, but also the bullies have problems, and if they're not given advice and counseling, they may grow up to lead miserable lives (See "What happens to bullies in later life" below). Anti-bullying action helps everyone. Researchers discovered that many bullies behaved like they did because they had not acquired empathy, which is an important human quality to have. Empathy is the feeling that you understand and share another person's experiences and emotions. Bullies that don't learn to be empathetic or sympathetic grow up to be in trouble with the law, to have breakdowns in marriage, to end up in prison, and many other problems. Some can't hold a job, some start to take drugs or have mental problems. So, bullies end up punishing themselves unless they change. Many do change when they grow up and realize what they did. Some actually search for those people they were cruel to and tell them they're sorry. Fortunately, young bullies can change too, but it often requires guidance from grown-ups. This is why it helps if you inform adults of how you're being bullied. I know you're afraid of being called a "tattletale" or "snitch," but really, asking for help on how to deal with mean, tough boys, or a group of nasty girls, is not a bad thing. Do these kids really have a right to call you names or hit you? Think of it this way—if they are a bunch of thugs, picking on you out of sight of grown-ups, isn't that spineless on their part? Would they like to be called "cowards"? Besides, there is a difference between snitching and telling. This is explained in a very good book that would be helpful for the grown-ups in your life to read. It explains how they can help you and other kids and how to reduce bullying. Tell your family or teachers about it. It's called The Bully, The Bullied, and the Not-So-Innocent Bystander by Barbara Coloroso. Ms. Coloroso explains that snitching can be seen as trying to get someone in trouble for any little thing. For example, if you saw a classmate sneaking out of school early or playing hooky, and you told the teacher, that's snitching. But if you or a friend is getting shoved all the time, telling a teacher or another adult is not snitching, it's asking for help. Telling is not about deliberately trying to get someone in trouble, it's about being unable to stop ongoing hurts and needing assistance. It’s about wanting to shield yourself. Just remember this: you'll be helping the bully as well, if you ask for help (even though the bully won't realize this yet). Counsellors can help you and also help them. After all, you know now that bullies could grow up to lead unhappy lives unless they learn to be kind and polite. You'll find that many grown-ups are approachable when you have a serious problem such as being bullied. However, some adults are unable to understand, for whatever reason of their own. Either they don't get what it's really like for you, or they think you should fight for yourself—which is not possible when it's you against a number of bullies or a stronger kid. Otherwise, adults take their time because they hope the problem will fix itself, or perhaps they have issues of their own, which means they cannot help you. If this is the case, please look for someone else to talk to. If you cannot speak with someone in your family (how about an aunt, or grandfather? ), then talk to your doctor or school principal or a religious leader or call a 1 800 help line for advice. Try these websites/phone numbers for advice. You could end up with low self-esteem because of the names you've been called. You may even reach a point where you expect to be picked on, even around strangers, because you think no one will ever like you. You could become depressed. But keep reading on, because I offer you some advice on how to shield yourself further below. 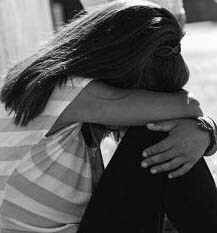 Being bullied leads to something called post-traumatic stress disorder (PTSD). This is recognized by counsellors, and they can help you deal with it. It is something that happens to many people who have been in alarming situations such as floods, earthquakes and wars. Being frequently bullied is frightening too. PTSD can cause nervousness, anger, sleeplessness, skin rashes, sadness and other problems. It's not just grown-ups who get PTSD, remember—it can happen to you too. It helps to go to a guidance counsellor or some other grown-up who understands. Targets of bullies also suffer a risk of eating disorders, such as anorexia or bulimia. The possibility of addiction is very real, because victims either want to numb the pain they feel or else they wish to fit in and be "cool" among their peers. So, if you're a target of mean kids, it is important to talk to someone about it. Don't give the bully satisfaction by destroying yourself in any way. Having even one or two friends will help you feel less alone. If you have had no luck at school or on your street, then there are other ways to find a friend. Ask your family to help you find a club you can join—one that none of the bullies attend. Think of something that interests you or be open to new hobbies. Joining a swim team, a judo class or painting club etc., will help you make friends. If you're very shy, as I once was, then one-on-one meetings may be a good idea. Ask the grown-ups in your life to help organize a time when you can meet new kids, one at a time. When I was small, my aunt used to go to a salon where the hairdresser had a little girl just a year younger than me. This hair stylist brought her daughter into the shop to meet me, and Gail and I began our friendship by playing with curlers and pins in the salon. Later, she used to come to our house, or I'd play with Gail in her garden. She was not at my school, so it was like a "fresh start" for me. Having Gail to spend time with at weekends helped me endure the lonesomeness I felt at school. Eventually, I met a boy living close-by who was new to the area. He attended a different school from me. I was brave enough to say hi and ask his name. He and I began to play in the park and kick ball on a nearby field. So, be open to meeting kids you don't know—they may be looking for a friend, too. One good thing about having friends, away from the bullies, is that you won't feel as much pressure to do things you don't want to do in order to "gain approval." Because, anyway, where bullies are concerned, nothing you do will really help you fit in with them. Concentrate on spending time with real friends.